Sweet gum tree leaves on the front lawn. Well, I own TWO rakes but I think my grass will be completely covered with leaves by the time I get home to Canada! Unless one of my wonderful sons has popped over to do the raking, but probably not! That's a lovely picture for an Autumn theme. I have the same view in my front lawn right now. I used to be in charge of all the raking at our house. Heehee, just run over them with the lawnmower. Or you could just enjoy them and wait for the San Anna winds to blow them away. We own a rake, Mad, but not for raking leaves. 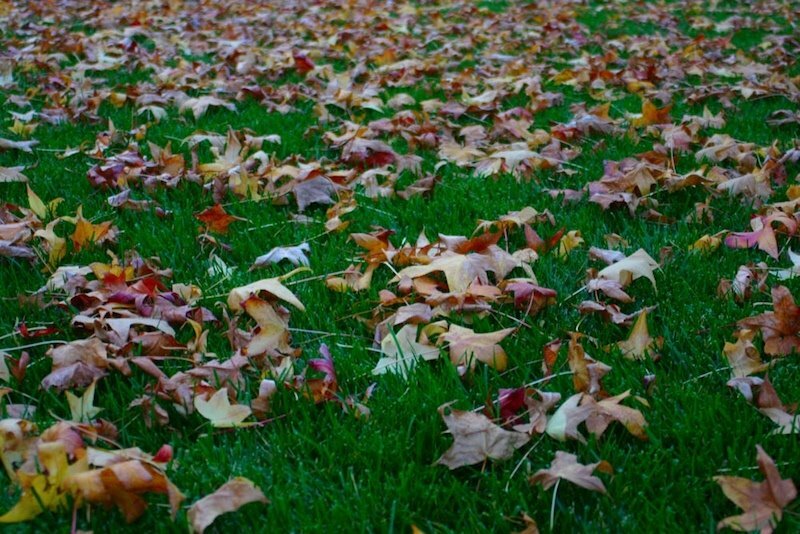 I end up mowing the yard and mulching all those leaves back in, just as Ragged mentioned. It makes it a lot easier AND healthier, for sure!